The Small Bases fit into a package size that is about 6"x6" and are made up of a wonderful collection of vintage artwork that can be used as a background, layer or embellishment. They are so easily transformed with a bit of ink, paint or dye. 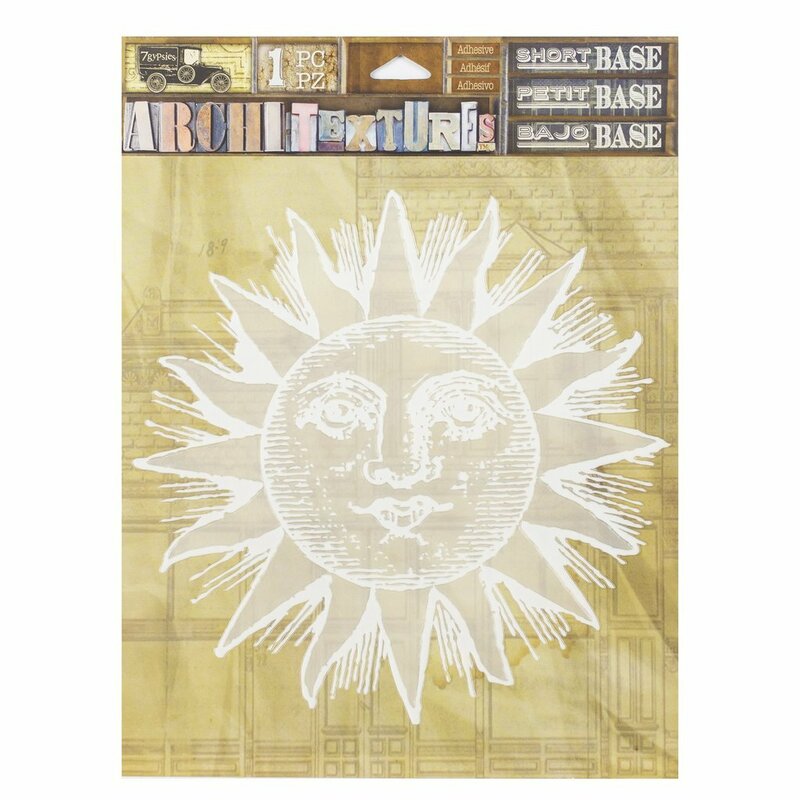 This wonderful sun design features the a vintage style face and a series of sun rays. The combination of white and opaque design is the perfect base to add color and details to your sun.